A new petting zoo in Northside’s backyard has just gotten the stamp of approval from school administrators -- but we are not just talking about your traditional barnyard animals. Northside’s administrative staff has given The HoofBeat an exclusive sneak peek on what animals will be included in this one of a kind investment. NCP’s very own AP Environmental Science classes will be hatching chickens and Marty the Mustang will finally be coming to life. Furthermore, as a result of the new turf field that is being built this summer, the geese that reside there will be captured and remain in the petting zoo. It has also been rumored -- but not confirmed -- that Manny Campoverde, Security, will be making his own contribution to the petting zoo and intends to capture field mice around the Northside campus. According to multiple sources, CPS has provided Northside with $500,000 for this project. One of the main reasons why this was approved is because it would provide the students with a method to destress after a long day of rigorous courses. The benefits associated with interacting with animals include improved self-esteem (for the people, not necessarily the animals), focused interaction with other students and teachers, and stimulation of memory and problem-solving skills. The petting zoo will be open year round and available to the public in exchange for a small donation of $5. 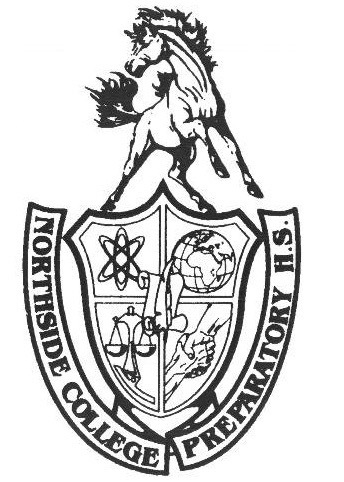 Northside students will be able to enter for no cost as long as they have their student ID. If you do not have your student ID, not to worry! Administration will be outside charging students $1 for a temporary ID. Marty’s Farm will officially begin construction on April 1 and it will be open to the public on April 20.